A few photos from family time in August. 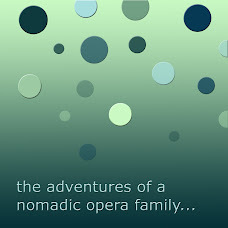 With my husband's operatic career, we have had the good fortune to spend the past few years traveling far and wide as a family. Once baby #3 and more serious schooling for our oldest son started, we have shifted to more time at home than traveling. When the chance to visit my husband with only our baby for one of his performances in Bar Harbor, Maine this summer came up, I was delighted and nervous! I had never been to Maine (we live in the Western United States, and where we were going in Maine is the furthest Eastern part of the USA. We even when up a mountain where the sun first hits our country!) 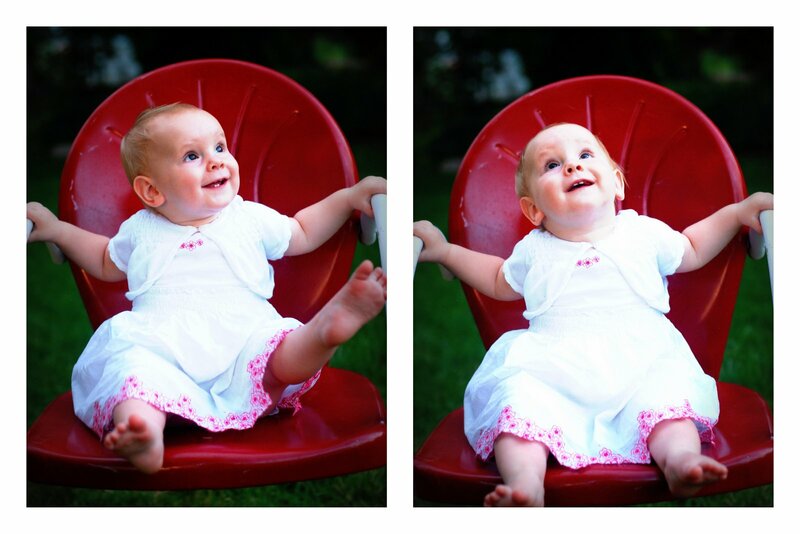 Baby Kate does not adjust to new places as well as the traveling kids. Since she has not traveled much, I had no idea what to expect. Thankfully, she was an angel on the longest leg of my airplane travel. However, when we were settling in for the first night at our bed and breakfast, she was just getting ready to play. We had to pile her into our rental car for a sleepy drive in the middle of the night. In Maine, you eat LOBSTER!! Below is Kate enjoying her first claw. I am thankful I brought my Wriggle Wrapper for two reasons. #1, the night of the opera, I realized I forgot to pack a non-diaper bag purse. (I have a little clutch I usually bring where I keep my collection of ticket stubs.) The Wriggle Wrapper served to hold my keys, wallet, cell phone, lipsitck, etc. And reason #2, our wonderful bed and breakfast did have a booster-type baby chair, but no way to keep a squirmy 11 month on in it. Go Wriggle Wrapper!! We spent as much time as we could in the Arcadia National Park, exploring the hiking and carriage trails. We also timed it so as to walk out the sandbar to Bar Island. In low tide you can walk out and hike around there, but make sure to not get stuck once the tide comes. Poor tired baby, so much packed into just a few days! It's not a phil&teds product, but we have used this great strap to carry Kate's infant car seat hands free. She's getting heavy and this in no way replaces baby wearing, but it's been a lifesaver! So now baby Kate some some travel under her belt! It's never ideal to travel with kids, but it's possible! (I don't want to give up on the blog! I like my blurb books too much! Oh well, so behind!) More from Bar Harbor, we went up to the top of Cadillac Mountain. This is the most Eastern part of the USA where the sun hits in the morning. We spent as much time as we could in Arcadia National Park. We become a bit of a sweaty mess. This bridge is from 1928, I loved it! The carriage trails are lovely! And Kate slept in the stroller. We tried to get cute photos of her, showing she has traveled a little. Poor non-traveling baby! She does not even have a passport!